When it comes to treatment times, there is a good chance that you’re going to hear different things from anyone you ask. Some might tell you you’re in for a longer treatment time, whereas others will tell you the opposite. There are reasons for this though, and you should not let the varying opinions affect their credibility. The orthodontists who tell you your treatment is going to take longer might do so for a few different reasons. By giving you a longer time estimate, they may be trying to account for any problems or delays that might come up during treatment. Another reason is more for your benefit. If you’re expecting a two-year treatment, for example, you will be ecstatic if you get them off earlier than you planned. Either way, as long as you feel comfortable with your orthodontist and he or she is a qualified professional, you should trust that no matter what, you’ll end up with a stunning smile. On the other hand, orthodontists might give you a shorter treatment time estimate for entirely different reasons. They might be telling you this purely to get you to proceed with treatment with their office rather than using a different orthodontist. They also might be doing this to encourage you to start treatment in general. Even if treatment needs to be extended for whatever reason, if you’re already doing it, that’s a win in their book. Or it may be they truly believe your treatment won’t take as long as others have told you because they are using a different method or type of treatment. Regardless of what an orthodontist tells you, you should always be sure to ask plenty of questions. Ultimately, whoever you go with is entirely up to you. If one of your options makes you more comfortable, they might be the way to go. As long as your orthodontist is qualified, caring, and professional, you should trust that you will end up with the results you desire once your braces are removed. A few weeks one way or the other won’t matter in the long run when you have perfect teeth for the rest of your life. Our team at Milnor Orthodontics is committed to making sure you are as comfortable as possible while you are in the process of getting you the smile you’ve always wanted. 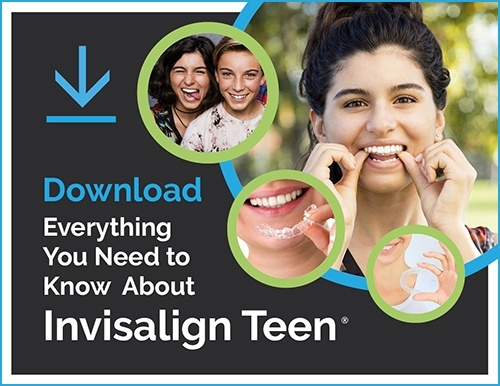 If you have been thinking about getting braces or Invisalign, schedule a free consultation to see what we’re all about.